'Thos. Moser: Legacy in Wood' opens Saturday at the Maine State Museum, showcasing the art and designs of Thomas Moser, who left academic life 45 years ago to make furniture. AUGUSTA — On Wednesday, Thomas Moser was expected to drop off one of his jigs at the Maine State Museum. Laurie LaBar, chief curator of history and decorative arts at the Maine State Museum, first saw the jig as part of the 2015 “Thos. Moser: Legacy in Wood,” show at the Maine College of Art, where the exhibit debuted. It’s used to form the continuous curved arms and backs on the chairs produced by the Auburn-based furniture maker. Staff photo by Joe Phelan Ryan Walker, an exhibits preparator at the Maine State Museum, builds shelves for levels and other tools in the entryway to the "Thos. 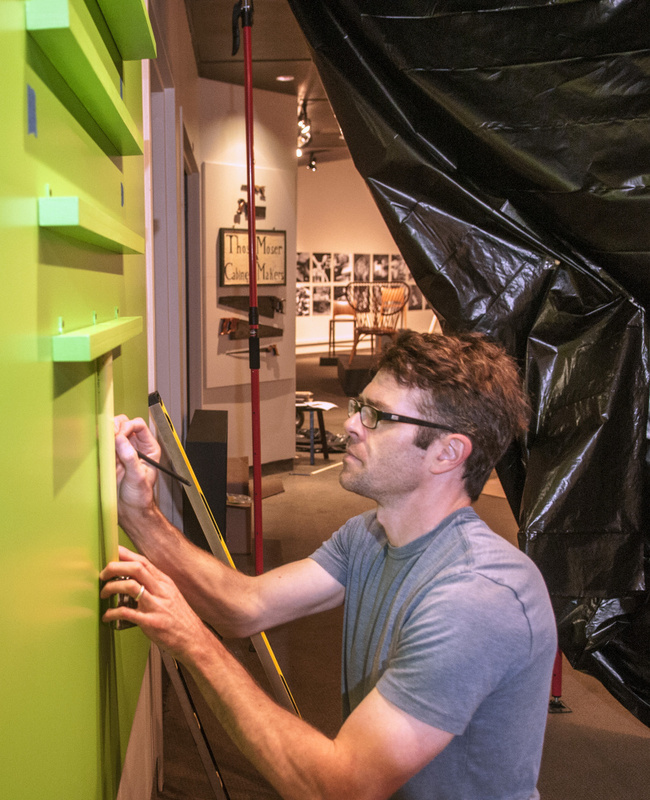 Moser: Legacy in Wood" exhibition under construction on Tuesday at the museum in Augusta. Staff photo by Joe Phelan Ryan Walker, an exhibits preparator at the Maine State Museum, arranges chisels while building a display Tuesday in the entryway to the "Thos. 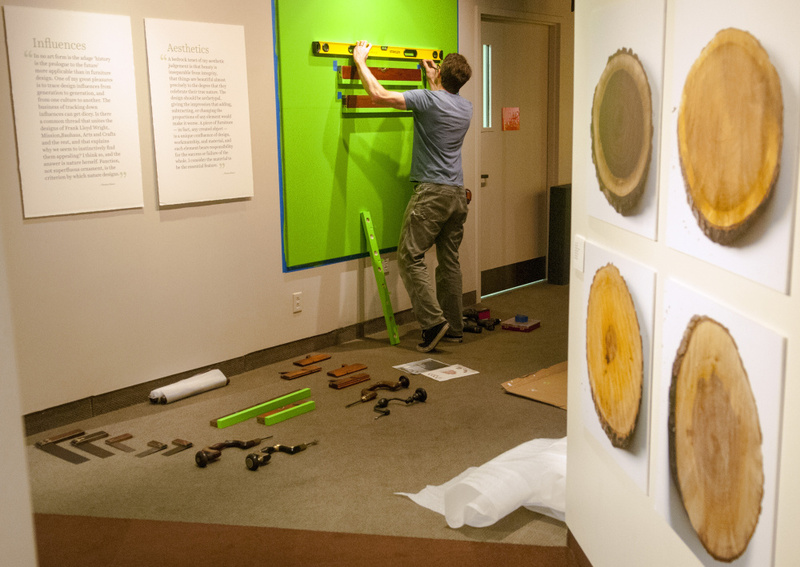 Moser: Legacy in Wood" exhibition under construction at the museum in Augusta. Now it will be part of the Maine State Museum’s exhibit, which opens Saturday in Augusta for a six-month run. “Thos. Moser: Legacy in Wood” shows the contributions Moser has made in the last 45 years to art, craft, design and entrepreneurship. LaBar said the exhibit links the museum’s own collection of 18th- and 19th-century Maine furniture to what’s being made here today. For Tom Moser, the exhibit is a chance to see the work of all the people who work for the company, who he considers to be some of the finest craftsmen and craftswomen on the planet. It was Tom, who as a tenured professor at Bates College, took a year off without pay in 1972 because he wanted to work with his hands. But he wanted to work with his hands as he had done with antiques he and his wife would buy and restore. During that year, he built a spiral staircase for a building in Portsmouth, New Hampshire, and columns for the Town Hall in Exeter, New Hampshire. He and Mary were poor soccer parents, he said; when their four sons got off the school bus in the afternoon, they went to work in the family business. With the perspective of age, Moser is convinced that the timing of his decision had everything to do with the success of the company that would bear his name. In the decades following the Great Depression, people viewed handicrafts with disfavor. Buying a thing was preferable to making a thing. His mother would have preferred to buy pajamas at the store, but because of the hard times, she sewed them from flour sacks as a make-do necessity. As the American economic engine picked up speed in the 1950s, American industry was king, with its enormous factories and billowing smokestacks that were so much a part of the culture that stock certificates of the time frequently bore those images. By the early 1970s, however, views had changed. 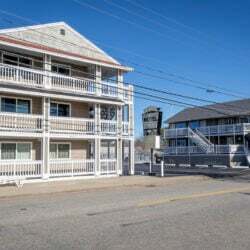 From its modest beginnings with a showroom in the family dining room in New Gloucester, the business has grown to a manufacturing facility in Auburn that employs 130, and showrooms in Freeport; Boston; New York; Philadelphia; Washington, D.C.; and San Francisco. Many techniques Moser has used in his designs can be traced back two or three centuries, and some are firmly anchored in the 21st century. Arriving at his designs required trial and error. 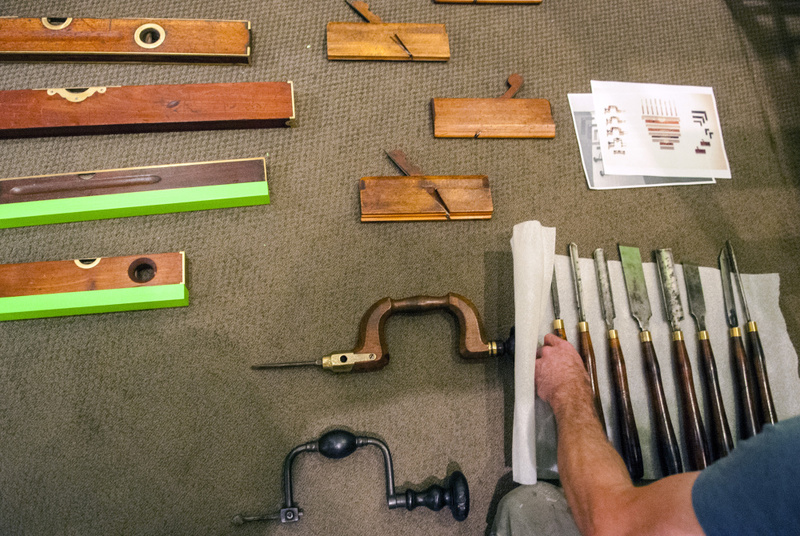 “Once you figure it out and have the jigs and the fixtures, it is so much easier,” he said. Getting the jig is a bit of a coup. LaBar had asked show curator Donna McNeil whether it would be included in the show, and the answer was no. But during the first logistics meeting, Moser offered it up. LaBar described the jig as a steam punk kind of machine that’s used to make bent arms and the back of the Thos. Moser chair. “It really is an inconvenience for them, and I am really touched that Tom is lending it to us,” she said. Moser said his workers will be able to work around its absence. The exhibit includes examples of furniture Moser made four decades ago through current designs, and it shows how the designs have changed over time. In addition to finished pieces, exploded versions show all the individual parts that make up the whole and versions that show furniture at different stages of manufacture. “I think it will be fun for people to see how the furniture is made and the styles being made in Maine right now,” she said. For Maine, the he business is as important as the art. Moser has watched the changes in the Maine forest products industry with some concern. “Lately, I have been pleased just to be in existence,” he said. When he came to Maine five decades ago, forest products were, in his opinion, the strongest sector of the state’s economy. In the years since them, multi-generation wood manufacturing operations have closed because of global competition, rising real estate values and younger generations’ lack of interest in taking on the business. 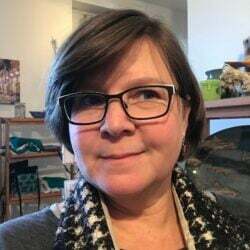 In its own way, LaBar said, Moser’s operation has served as a training ground for many craftspeople who have moved on to their own enterprises, and for those who choose to stay. Although the exhibit is about furniture, including chairs, visitors will not be able to sit on most of them. But Moser has provided six stools for people to try out as they watch videos that are included in the show. Moser himself is expected to give a talk on Aug. 5. Admission to the Maine State Museum is free on Saturday; otherwise it costs $3 for adults, $2 for children 6 to 18, and nothing for children younger than 6. The museum is open 9 a.m. to 5 p.m. Tuesday through Friday and 10 a.m. to 4 p.m. on Saturday.